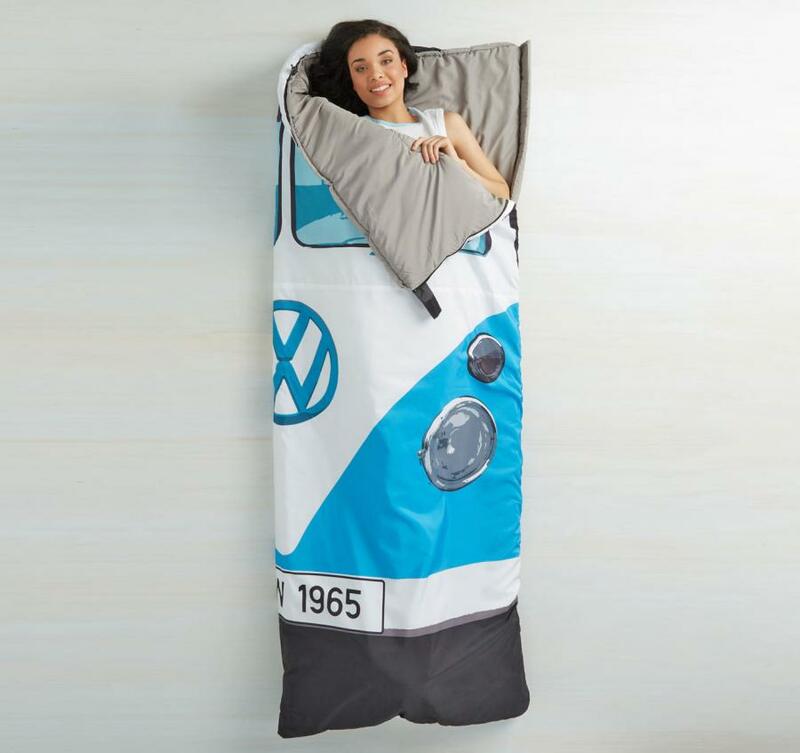 The Groovy Getaway Sleeping Bag is a sleeping bag that is made to look like the front of a Volkswagen hippy van from the 60's, in particular the Volkswagen Type 2 van. 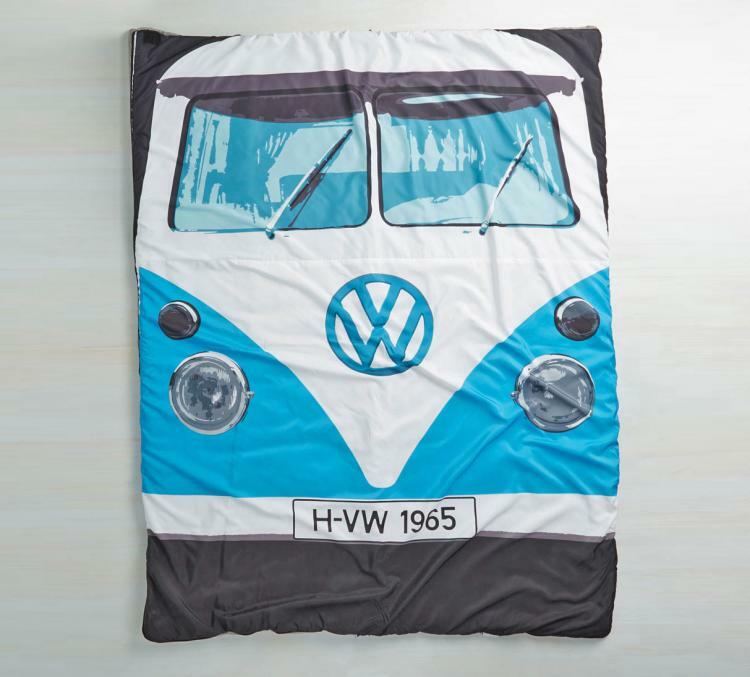 When zipped up, the sleeping bag only shows half of the bus, but if you leave it unzipped and use it more-so as a blanket, you get to see the entire front end of the hippie van. 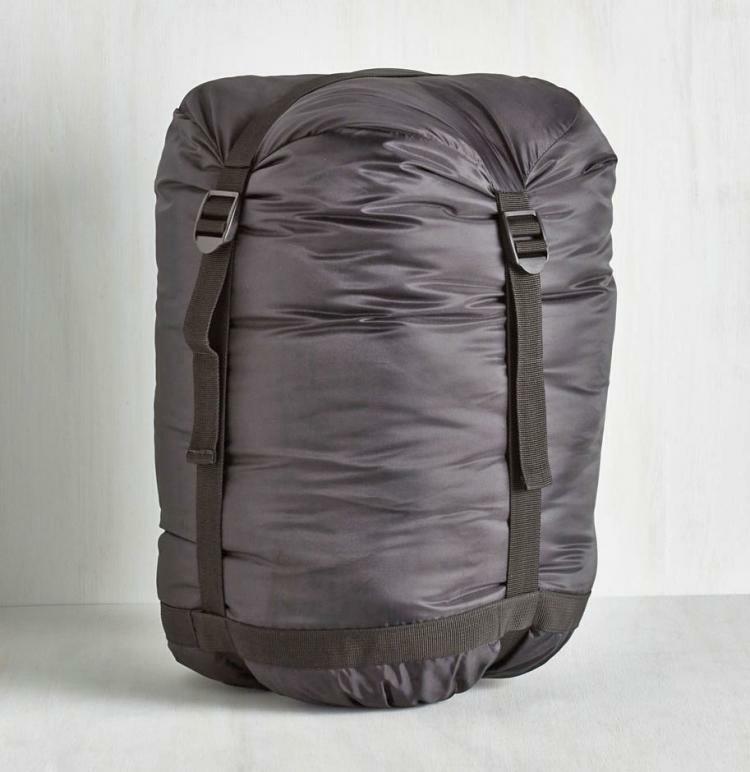 Perfect to use while sleeping inside of your Volkswagen Hippie Van Camping Tent so you can sleep in a hippie van inside of a hippie van. It would be so meta you wouldn't even be able to handle it. 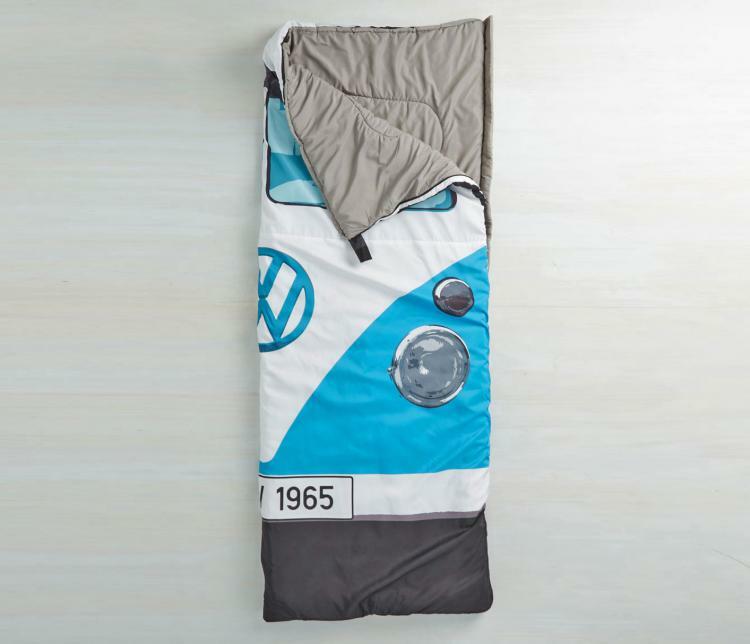 The hippie van sleeping bag comes fully featured with a Volkswagen logo directly in the middle of the sleeping bag, along with a European style license plate below the logo. The Volkswagen Hippie Van Sleeping Bag is blue in color, is machine washable, is made from synthetic materials, is imported, has a zipper closure, and has a 300 GSM thermal fill. 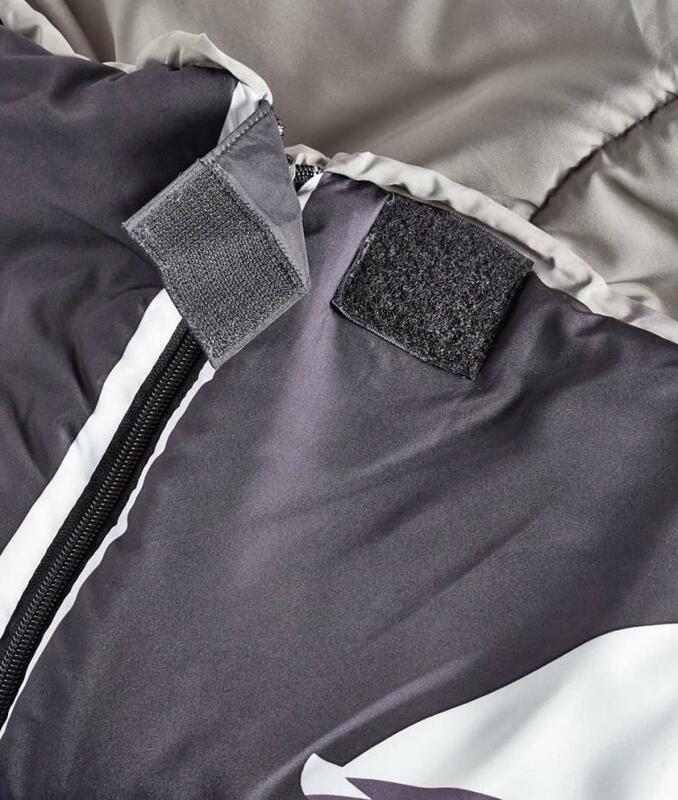 The sleeping bag measures 6.5 inches long x 2.5 feet wide when zipped up, and when unzipped the sleeping bag measures 5 feet wide.